What’s Cookin’ at Prescribe Nutrition? Well, a LOT of things. 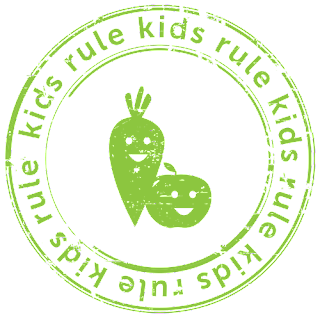 As some of you know, we are gearing up for our Kids Rule program launching at the end of July (details coming soon!) What Katie and I love most about constructing new programs is that although we bring plenty of nutrition expertise to the table, we learn so much more in the building process. We love doling out our favorite nutrition tips, our go-to recipes, digestion fun facts, hormonal knowledge, and more, but this time around, well frankly our clients are seriously tough cookies: kids. Each program we build a big, bad (in the cool sense so of the word), and beautiful recipe packet. I’m going to be honest here (and not at all humble): I know for a fact that Prescribe Nutrition’s dijon chicken will blow your mind. So will the cardamom chia pudding in our current program Get Balanced. The proverbial icing on the cake is that you know when you eat these foods you’re doing your body good. You’re taking all that nutrition knowledge and combining it with each delicious bite. The result? Happy, satisfied, nourished folks. Yes, that is a cauliflower pizza crust. And it was delicious. But our newest clients, the kids, well they don’t really care what you have to say about that fiber packed chia pudding. They also really don’t care that the coconut milk in the dijon chicken has important properties known to nourish your thyroid. I can assure you they are not interested in talking about gluten. What they care about is food tasting GOOD. Not too complex, not too gooey, not too spicy, not too green (heavens no). So here’s what’s happening as we speak: we’re finding ways to get kids the good stuff. It’s more than just sneaking in the veggies. It’s about feeding them the whole, healthy foods while educating them in the process. Getting kids involved is half the battle in long term nutrition. Why? Because kids will absorb this stuff, literally! When you feed them something nourishing (that they actually like), then help them be in touch with how they’re feeling, and also ask them how they’re feeling post non-nourishing foods (since it’s bound to happen sometimes, right? ), they will learn from that. Just like we all do. So in the meantime we’re coming up with a huge selection of foods your kids will eat. Cheesy (and yet non-dairy) pizza with a cauliflower crust is just one of many. Think tasty soups, innovative veggies and smart snacks…but also old childhood faves like graham crackers, pop tarts, and pasta with a Prescribe Nutrition face lift. Your kids will be green smoothie addicts in no time. Think of it as a glass full of antioxidants that your child will give the thumbs up to.